The BBC’s in-house drama department is facing a restructure as the pubcaster’s director of UK drama production prepares to join Sam Mendes’ indie Neal Street Productions. Nicholas Brown will join Neal Street in early 2013 where he will lead the expansion of the company’s television drama slate. He will also join the board alongside co-founders Mendes, Pippa Harris and Caro Newling. Neal Street is behind BBC period drama Call the Midwife and also produced a series of Shakespeare films this year, also for the BBC. Projects currently in development include movie Blood, a coproduction with Red Productions, and a Christmas special and second season of Call the Midwife. Neal Street is also developing a period supernatural thriller for UK and US television, and is adapting the best-selling Flavia de Luce mystery novels. 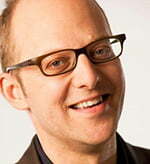 Brown joined the BBC in 2006 as a director of drama production, before being promoted to director of UK drama production earlier this year. He was responsible for shows such as EastEnders, Silent Witness, Luther, The Paradise, The Fades and Great Expectations. His decision to join Neal Street will see Kate Harwood, currently controller of series and serials, adopt his responsibilities as acting head of the genre with immediate effect and until further notice, a BBC spokeswoman said. Concurrently, the BBC will consider the best structure for the future of its in-house drama production, the spokeswoman added. This is part of the ongoing reorganisation of the BBC’s Vision department, which is designed to make it more efficient for in-house and indie producers, and more cost-effective. The restructure was announced earlier this year by George Entwistle, then director of BBC Vision who has since become the pubcaster’s new director general.